From 6 to 10 March in Ukraine on pastoral visit is His Eminence Theodore Cardinal MakKarrik, Archbishop Emeritus of Washington. With him came the father of James MakKann, TI, head of National Bureau of collections for the Church in Central and Eastern Europe, the U.S. Conference of Catholic Bishops, and Mark Patrick, Executive Director of the National collections. 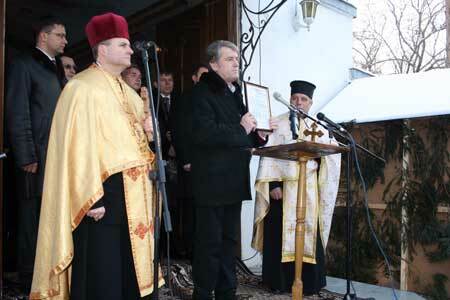 The Cardinal himself has not the first time on Ukrainian soil. 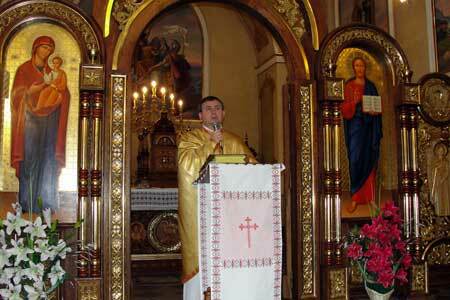 The purpose of present visit - the deepening of cooperation between the Church in America and Ukraine. 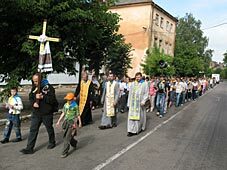 From the 44 pilgrimage places of the UGCC that have been visited by the monitoring group of the Patriarchal Pilgrimage Center, around 10 percent of the pilgrimage objects are ready for pilgrims, reports Mr. Dmytro Myronenko, the head of monitoring group of the Patriarchal Pilgrimage Center of the UGCC. Throughout February the group worked in the western regions of Ukraine. On March 2, 2010, in the Italian town Ancona in the exhibition room of Mole Vanvitelliana took place the opening of the exhibition Golden Age of the Ukrainian Icon of the XVI-XVIII Centuries, will last until May 9, 2010. At the exhibition were presented 65 pieces of art – 40 icons, liturgical items, and church vestments – from the funds of the Kyiv Cave Preserve and the Andrey Sheptytsky National Museum in Lviv. As reports Radio Vatican, the exhibition is organized as part of the preparation for the 25th National Eucharistic Congress which will be held in this town in September of next year. Today at 14:01, the Church celebrates after the Julian calendar, the Feast of the Circumcision of the Lord in the temple and the feast of St. Basil the Great, the father of the church, theologian, ascetic, good Christian monk and bishop, the founder of the Order of St. Basil the Great. It is wonderful to admire, and many in the work of the church, had tried time and it made monks and make a significant contribution to the development of the Church, both in academic achievements and pastoral care. Today Basilian read a work and follows its founder as a role model to emulate, and the feast of St.. Basil the Great celebrated solemn all, especially OB Basil, his followers, children and spiritual children. Who is visiting the official website of the Diocese of Buchach? How did you get to know about the website of the Diocese of Buchach?